Clay K. Keller is a Member in the Energy and Manufacturing industry groups, focusing primarily on litigation and oil and gas. He practices out of the Firm's office in Akron, Ohio. Clay has a broad array of experience in counseling and representing individuals and businesses as trial counsel in commercial disputes and tort matters. 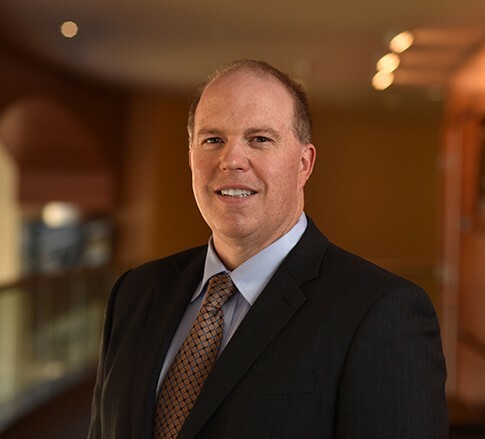 In addition to representing businesses in a variety of industries, a significant portion of his practice involves representing upstream and midstream companies operating in Ohio for the exploration and development of the Utica-Point Pleasant Shale Play. From area of mutual interest (AMI) interpretations, to defending exploration and production companies involving Dormant Mineral Act claims, to lease lawsuits, to actions involving access properties, Clay’s resume is rich and varied. He is a frequent speaker on topics related to general litigation and oil and gas law. He’s received a peer review rating of AV Preeminent from Martindale-Hubbell. Clay enjoys collaborating with clients, and he's proficient in the industries in which he regularly represents companies. He believes that being able to adapt, being focused on practical solutions, and creativity are critical aspects to successfully practicing law and meeting the needs of clients. In his spare time, Clay enjoys spending time traveling with his family and attending his daughter’s tennis matches and events. Clay is also an avid pilot and holds his commercial certificate with an instrument rating, serves as the Vice President of a local flying club and is a member of several general aviation organizations.